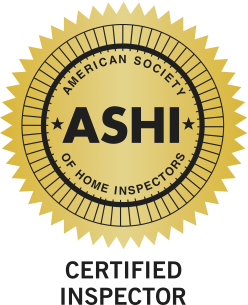 When you are about to make the biggest purchase of your life, make sure you hire an ASHI® Inspector to perform your home or condo inspection! A professional independent home inspection plays a most vital role in providing information to home buyers and sellers so they can make good real estate decisions by clearly understanding a home's physical condition. A NOVAhi™ professional Home Inspection protects you as you make a important financial and decision. NOVAhi™ is ready to provide all your home inspection needs in Northern Virginia. Our inspection gives you confidence in home buying. NOVAhi™ delivers uncompromising and comprehensive Home and Condo Inspections for home buyers as well as sellers. As our client, you will receive the confidence and meaningful knowledge required to make the best informed decisions and overall evaluation about your home. NOVAhi™ provides Home and Condo Inspection services in Fairfax County—including Oakton, Vienna, Great Falls, McLean, Herndon, Oak Hill, Reston, Sterling, Centreville, Chantilly, Burke, Clifton, Annandale—Arlington County, Loudoun County, and Prince William County. NOVAhi™ is also a nationally certified radon provider and qualified to conduct radon testing and measurement by the NRPP.